Pros: Excellent price; Lightweight; Good suspension; Very comfortable; Thoughtful pocket design; Easy-access rain cover; Inner hydration sleeve (fits a 3L water bladder). Cons: Slight slippage on shoulder strap buckles; No bottom access; Lack of rear loading straps; Seemingly weak stitching. The Bottom Line: A very comfortable, lightweight hiking backpack at a very competitive price. This well-designed pack is excellent value for money. 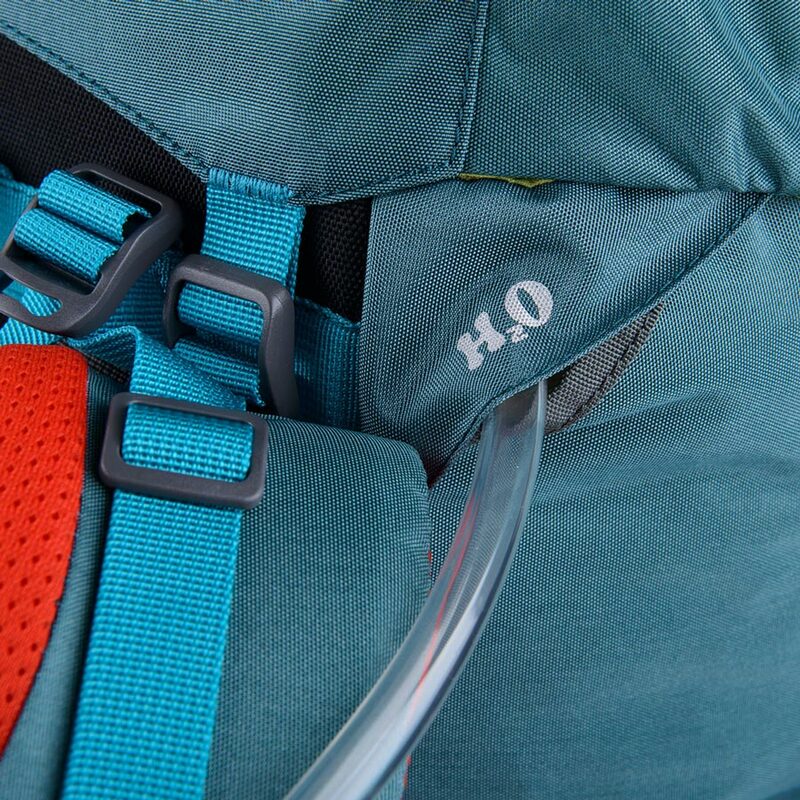 The Naturehike 55 + 5L pack uses the traditional top access to the main compartment with an internal hydration sleeve with single hose port and two side stretch pockets. 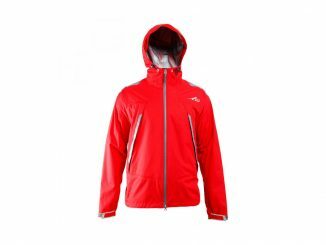 The pack comes with multiple storage compartments, trekking pole loops, zippered top compartment, zippered hip belt pocket and easy access rain cover. 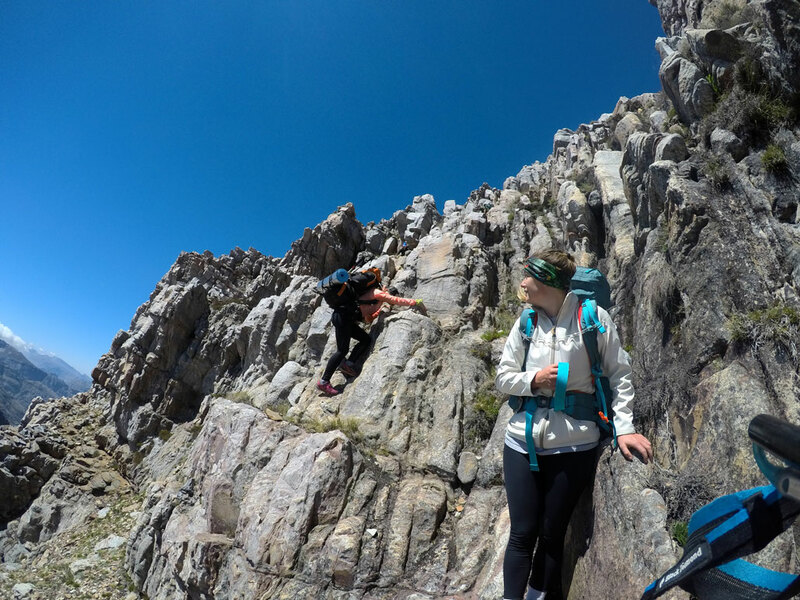 I first used the NatureHike 55 + 5L backpack for the Hex Traverse, where one begins with an exceptionally steep ~1000m climb, followed by many scrambles, sharp descents, and steep ascents across approximately 37km. 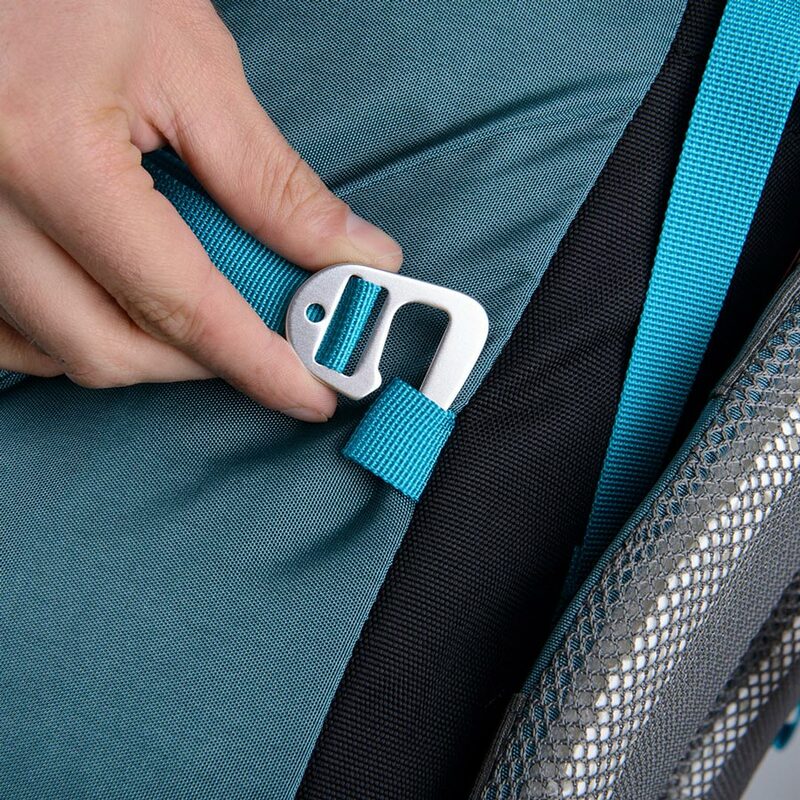 The backpack felt comfortable and is incredibly well structured, with an adjustable hip belt that pivots independently while one climbs or descends. 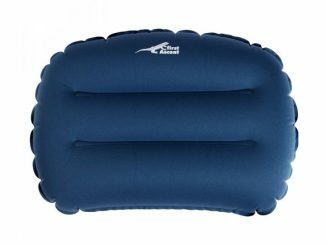 This helped enormously with weight distribution and support, such that even though I was carrying about 16kg’s over rough and steep terrain, I never felt unbalanced. The bag itself is exceptionally light-weight, made from 100% nylon. The hip and shoulder straps are well-padded and very comfortable. 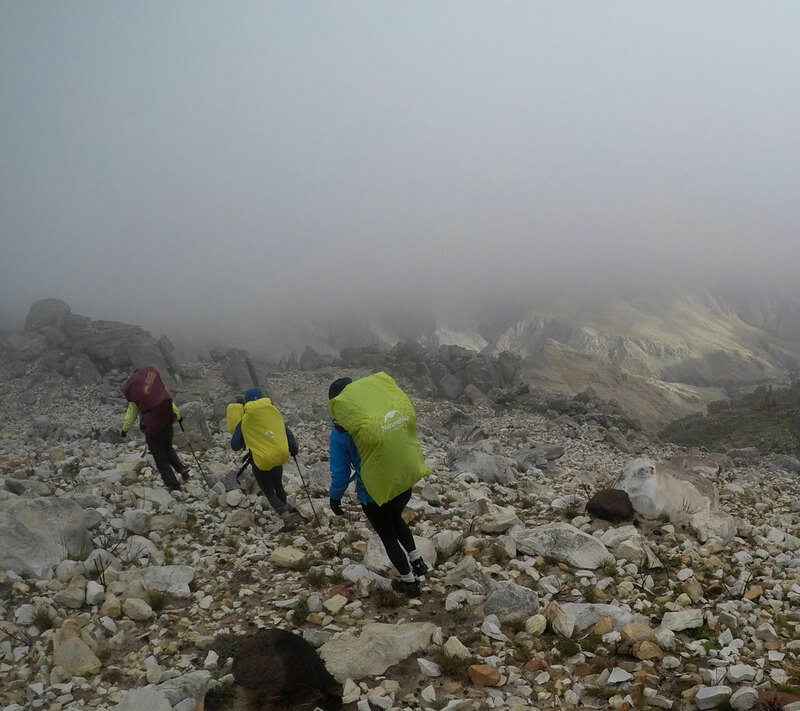 Although the adjustable shoulder straps did loosen over time (while hiking), both top and bottom level were exceptionally accessible and easy to use, so I could adjust the suspension while walking. It has quite a narrow/tall profile. This, combined with a hydration bladder taking up 3L of internal space, as well as no rear loading straps, gave the impression of less storage space than other bags of similar volume. I’ve spent the last few years of my life using a 40-year old Backpacker SA Canyon backpack – I am very attached to it and all its split pockets (which I lovingly stitch up myself every few months). But I have always wondered why other people seemed to be able to walk upright up hills on longer day hikes, and I was bent over at a 90° angle…I thought I was just less fit or strong. 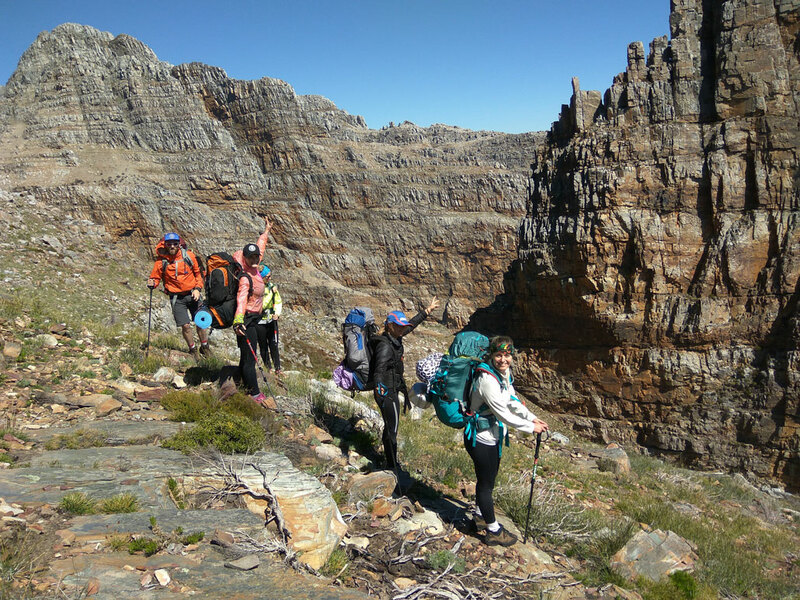 However, after using the NatureHike 55 + 5L Backpack I realise the ancient Canyon backpack is akin to hiking with a lumpy bag of potatoes on one’s back, as the suspension structure has eroded over it’s (very long, thoroughly used) lifetime. When I first put on the NatureHike 55 + 5L backpack, I initially had a mild panic because the shoulder straps were SO very big and the backpack hung past my bottom, and I thought I’d have to go back to the Karrimor; only to find the very easy-to-use adjustable shoulder, back and waist straps while it was on my back, and adjusted it to fit my short frame. Once on, I stared at myself in the mirror for a few seconds, mouth agape. I could see it on my back, packed to the brim, but if I closed my eyes, I could barely feel the weight. While the comfort of the bag is exceptional, my biggest concern is the durability. While stuffing a small, technical tent into the outside front pocket on the second day of use, the seams tore. On closer inspection, I could see that the seams were lightly stitched with cotton thread, using a simple hemming stitch. However, the overall quality of the bag is good. 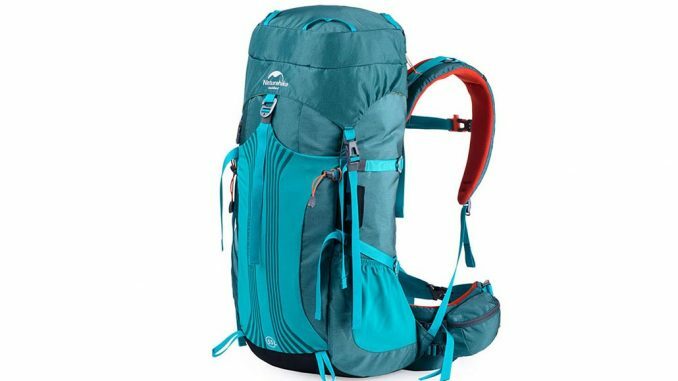 This is the ideal backpack for 2-5 day hikes, and depending on care and how often it is used, it would possibly be a medium-term (2-5 years) investment. There are several great features that the NatureHike 55 + 5L backpack has. 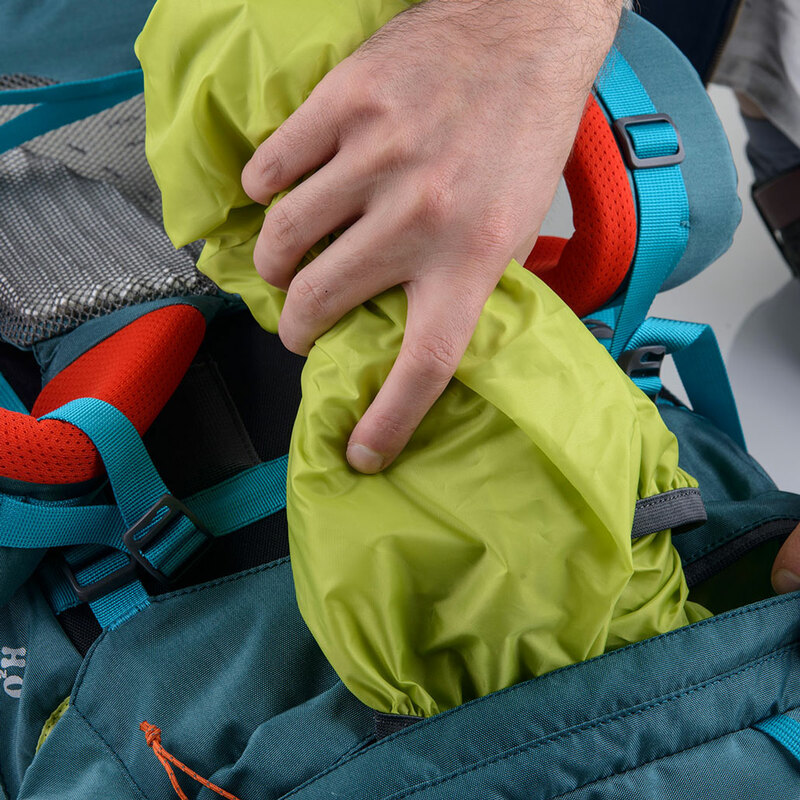 The outer pockets (front and side) are of a deep size, and made of good, stretchy fabric, thus fitting quite a lot of extra hiking paraphernalia in, especially smaller but bulky items like food, water bottles, camping towels, rain jackets, or toiletries. I managed to include a small, lightweight sleeping mat in one of the side pockets. The side compression straps were useful in securing this item snugly to the backpack. The access to the main compartment is only through the top of the bag. The floating top compartment adds a good bit of extra volume, and has adjustable straps; which is a fantastic feature regardless of how little or much you pack your bag. 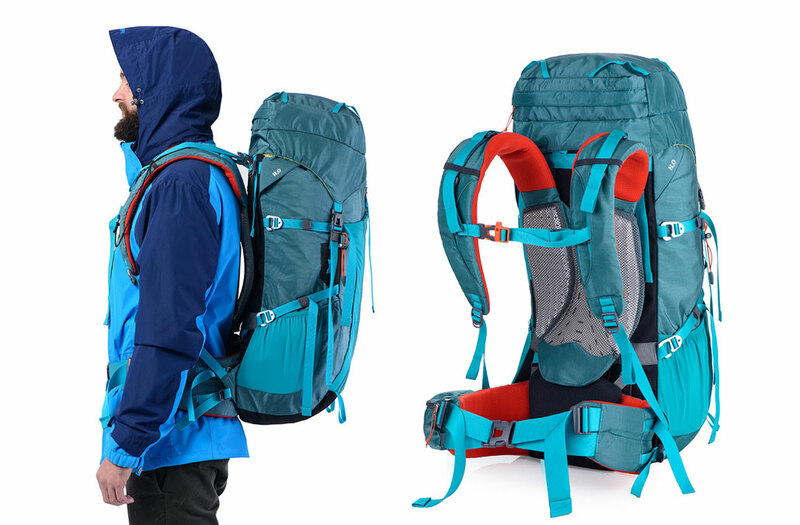 The backpack was tested in extreme weather conditions of heavy rainfall and high winds, and besides the adjustable hip belt which helps with weight and balance on frightening/slippery climbs in bad weather, it has a large waterproof rain fly, that fits well and offered superb protection for the backpack. 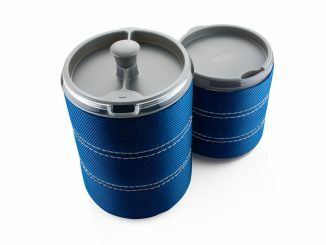 A game changer for dry regions is the inner hydration sleeve that can fit a 3L water bladder. Methinks the pack reviewer errs a liddle. A Canyon model was/is made by Backpacker SA. The older Karrimors models made under licence here by the Outdoor Group have cat names…Also the Backpackers were and still are available in 2x material types. Duracore 1000 and Nylon Ripstop with varied Deniere weights on stress points. What the Alibaba machine churns out is for a different market and budget segment mostly. “Carefully made in SA” products are a good fit for our conditions. Whilst good materials and thread come from China, their challenge remains Quality Control. Many top brands are made there under licence but with tight QC. The end product is improving, but like a Chinese manual for electronics, there are still challenges. Thank you William!! 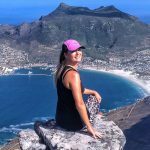 We will update the review – I used an (obviously) unreliable source 😉 You sound very knowledgeable – would you be interested in submitting a review of your own? My girlfriend bought me this pack for my first off trail mountain top ascent and camping. Very comfortable, loved it!